Iran has denied reports about an explosion at its underground Fordow nuclear plant, saying they are "Western propaganda." 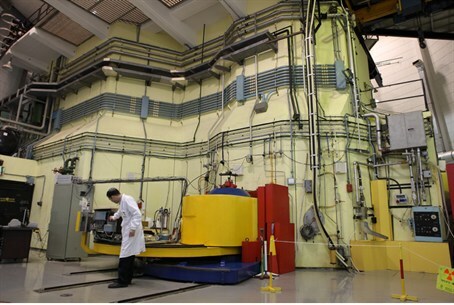 Iran has denied reports that surfaced over the weekend about an explosion at its at its underground Fordow nuclear plant. According to a report in the Iranian IRNA news agency, the deputy head of the Iranian Atomic Energy Organization, Seyyed Shamseddin Barbroudi, said on Sunday that that there has been no explosion whatsoever in the Fordow nuclear facility. The chairman of the Iranian parliament’s Committee for Foreign Policy and National Security, Alaeddin Boroujerdi, said that the reports of the blast were nothing but “Western-made propaganda,” according to IRNA. On Friday, the American WND website reported that an explosion had occurred deep within Fordow. According to the report, the explosion which took place last Monday destroyed much of the installation and trapped about 240 personnel deep underground. The report of the blast was passed on to WND by Hamidreza Zakeri, formerly with the Islamic Republic’s Ministry of Intelligence and National Security. Zakeri said that the blast shook facilities within a radius of three miles. Security forces enforced a no-traffic radius of 15 miles, and the Tehran-Qom highway was shut down for several hours after the blast, the source said. Iran admitted in the past it was moving more centrifuge machines for enriching uranium to the underground Fordow facility, which is carved into a mountain to protect it against possible attacks. Israeli officials on Sunday said they did not know whether there was any truth to the reports on the explosion. The reports came after Defense Minister Ehud Barak said that the United States has plans for surgical strikes against Iran as a last-ditch measure if Tehran refuses to stop its development of a nuclear weapons capability.